Expedia.com shared some excellent secrets to experience NYC with a home base in Newark and money in your pocket. If visions of yellow taxis and black and white cookies are dancing through your head, then a trip to New York City is in order. But just because you have big ideas about the City of Dreams doesn’t mean you have to fork over your 401K to get there. Go easy on your wallet and spend some of your vacation in Newark, which sits just on the other side of the tunnel. 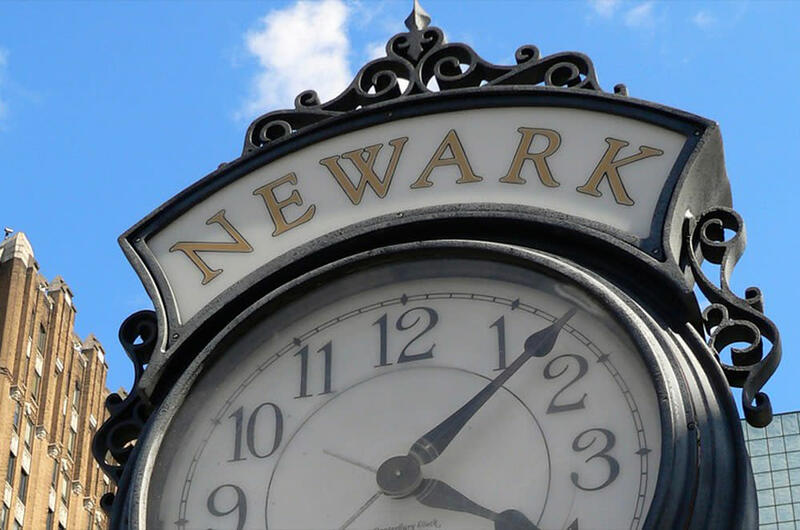 Budget-friendly Newark features intriguing culture, drool-inducing cuisine, comfortable hotels, and easy access to NYC to boot. At Expedia.com, we wanted to help you get the best of both worlds on your next trip, so we’ve rounded up some tips for a dynamic adventure and convenient stay within your price range. If you’ve rented your own set of wheels, hop on I-78 E or use I-280 E/NJ-139 E. Without any traffic, the trip from Newark into the city takes less than 30 minutes. But let’s be honest, we’re talking about NYC jams, so build some wiggle room into your itinerary and keep a long playlist handy for some distraction. 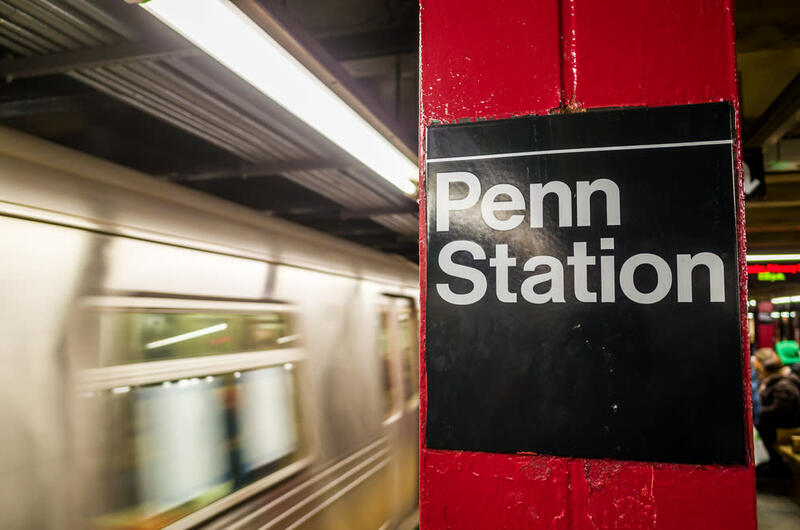 For a cheaper route—without the road rage—catch the NJ Transit, which runs from Newark Penn Station to New York Penn Station. For access to Lower Manhattan, head to Newark Penn Station and board the PATH train that services the World Trade Center stop. To save some extra do-rei-me, double check that you’re purchasing a NJ Transit or PATH train ticket, instead of the more expensive AMTRAK pass. Flying into Newark Liberty International Airport (EWR)? It’s easy to head straight into NYC, as the AirTrain connects with both the NJ Transit and AMTRAK. The Newark Airport Express also provides an affordable way to arrive in Gotham after your flight lands. After a red-eye or cross-country flight, rest up at a quiet retreat across the bridge. 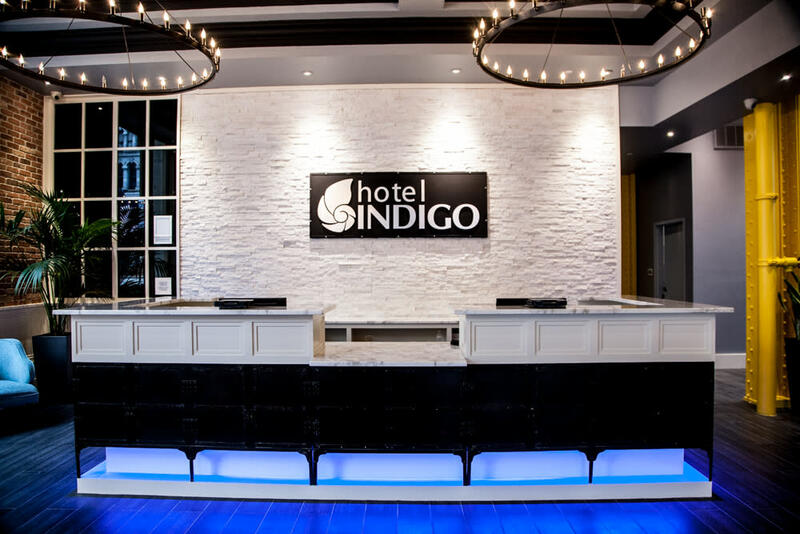 Stay at a place like Hotel Indigo Newark Downtown; between its exposed brick décor and trendy Skylab bar, you’ll hardly realize you’re not in the heart of New York. This boutique hotel, which was previously the 1912 National State Bank, is within walking distance of the New Jersey Performing Arts Center and Prudential Center, where you can root for the Devils on the ice or catch show-stopping concerts by famous artists. If you spent the day hoofing around all those blocks in Manhattan, you’ll be eager to kick back at Hilton Newark Penn Station, which is only a two-minute stroll from the light rail station. Comfortable, convenient, and affordable, this hotel invites you to rest easy without the fear of an overdraft on your credit card. The hotel has on-site eateries Market Street Bar and Grill, and the Executive Lounge, which serves continental breakfast and nightly cocktails. Looking to feast outside of the hotel? Dinosaur Bar-B-Que, and Nico Kitchen are all just minutes away. Sure, the Capital of the World has a lot going for it, but don’t overlook what’s right under your nose. Newark has plenty of allure in its own right. Between trips into the city, amble around Lincoln Park, known as the Arts District, where you’ll come across masterful designs at the Gateway Project Spaces and Gallery Aferro, and riveting performances at the Newark Symphony Hall. The city is also home to Newark Museum, which is New Jersey’s largest museum. And then for a peek into the past, mosey around the historical monuments at Military Park, which is where George Washington’s troops camped during the Revolutionary War retreat of 1776. When your stomach starts to grumble, follow the scent of European flavors wafting from Newark’s Ironbound neighborhood. What could easily be called Little Portugal, this district is bursting with Iberian cuisine and culture. However, thanks to new restaurants on the rise, you’ll find more than just caldo verde and cozido a portuguesa on the menu. 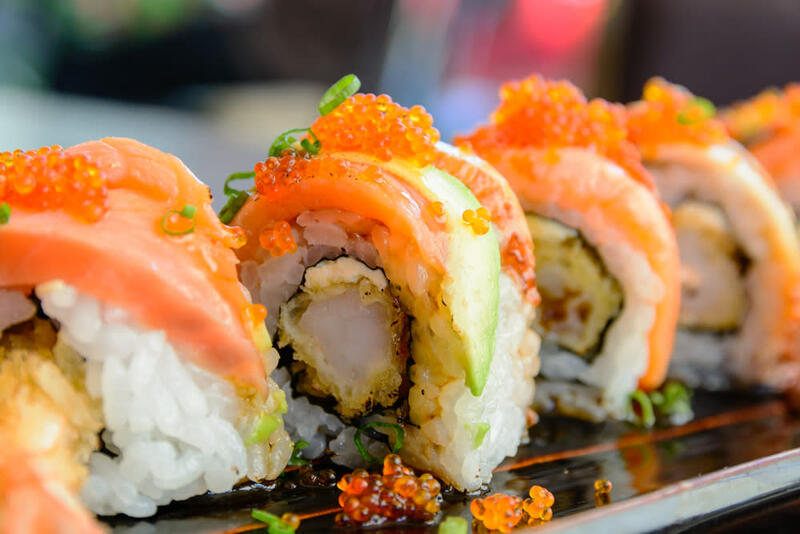 Manu’s Sushi Lounge satisfies with hand rolls and bento boxes, Catas dishes and Casa d&apos;Paco savory tapas and more than 40 American-Spanish infused eateries. Split your time between Newark and New York City during your next adventure to the Tri-State. With a little planning, you can make your itinerary and budget go a long way.